Dutch oven no knead bread is a true heritage bread. It’s been a bit since I’ve wrote about cast iron cookware, so I thought I’d continue my past post by talking about it now. One of the best things about Heritage trail cooking is the ability to make incredibly good tasting food from scratch. It’s really a thrill to have someone comment on how surprised they are. Most folks assume outdoor cooking cannot compete with the precision of indoor cooking. 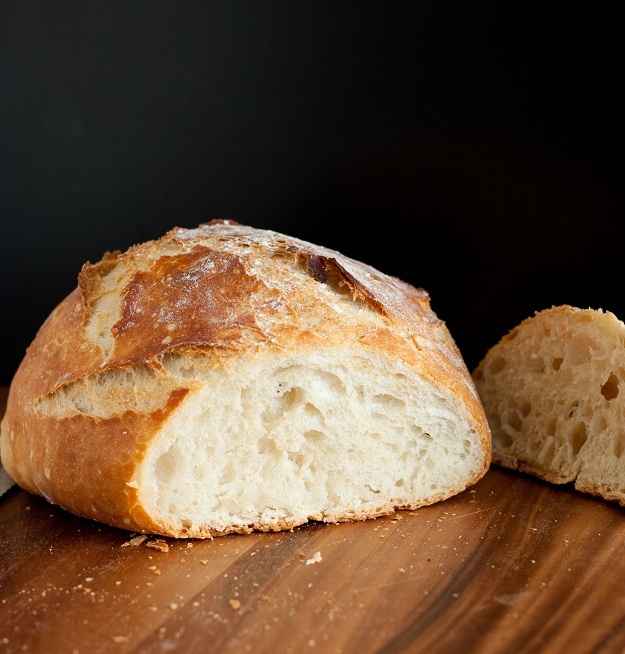 For instance, take this no knead bread recipe. Most folks would assume there’d be burnt crust or soggy insides. Well, maybe the first couple times it might look pretty unusual but the taste would still come through the ugly end of it. This recipe lets you practice indoors under a controlled situation. Practice makes perfect. My desire in teaching you all this trail cooking and such is to get you to be able to survive in case a gas or electric stove is not available. I’m not a doomsday person so much as a believer that if I was ever put in a situation (unlike those folks in NJ for instance, I’d still be puttin’ out some mighty fine dinners on what I could scrape together). I believe every cook should have the skills to survive in any situation. My great grandfather and grandfather were honest to gosh mountain men. They trapped for the Canadian Hudson Bay fur company in Montana and Idaho. Those skills did not die with them, they passed down a lot of their ‘living off the land’ knowledge to their kids and us grand kids. learning to survive off the land does not start with hunting or trapping. It starts with learning what to cook and how to cook it. So, try out this recipe and when you get it down, do it for your friends, they’ll wonder what else you’re hiding from them! The time required for the recipe is about 1½ hours plus 14 to 20 hours’ rising. Combine the flour, salt, sugar and yeast in the bowl of an electric mixer fitted with a dough hook. If mixing by hand, use a large bowl and a strong wooden spoon to mix the dry ingredients. 2. Turn mixer to speed 2 and mix about 1 minute or by hand until well blended. 3. Gradually add very warm water ( 120º F works well) and continue to mix. 4. Stir until blended; dough will be shaggy and sticky. 5. Continue to mix well until the dough begins to pull away from the sides of the bowl. 6. Cover bowl with plastic wrap. 7. Let dough rest at least 8 hours, preferably 12 to 18, at warm room temperature. the dough is ready when its surface is dotted with bubbles. 8. Lightly flour a work surface and place the dough on it; sprinkle it with a little more flour and fold it over on itself once or twice. 9. Cover loosely with plastic wrap and let rest about 15 minutes. 10. Using just enough flour to keep dough from sticking to work surface or to your fingers, gently and quickly shape dough into a ball. 11. Generously coat a smooth cotton towel or bakers cloth with flour. 12. Put dough seam side down on towel and dust with more flour. 13. Cover with another similar cotton towel and let the dough rise for about 2 hours until doubled. 15. Place your 6 – to 8quart cast iron Dutch oven with its lid on into the oven. 16. When dough is ready, carefully remove your hot Dutch oven from the oven using a pair of good oven mitts. Place lid temporarily on a trivet or the stove top. 17. Remove your mitts and slide your hand under the towel and turn dough over into your Dutch oven, seam side up. Now put your mitts back on! 18. Cover with lid and bake 35 minutes. Chalk another one up on your trail cooking skills! Note for outdoor cooking. 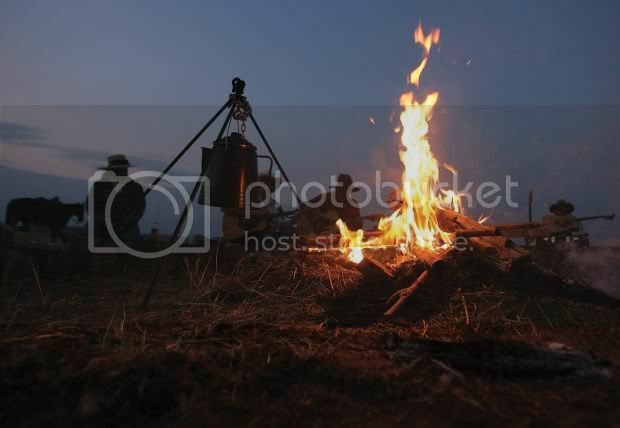 Preheat your cast iron Dutch oven on the campfire by placing the oven over a large bed of hot coals. Place a heaping amount of coals in the lids top. You can use charcoal briquettes too. See the chart below. 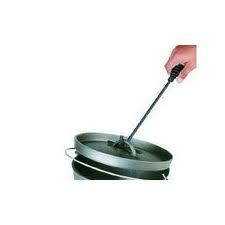 When hot, remove your Dutch oven from the deep bed of hot coals using the handle and your mitts or use your lifter. Use your lid lifter to remove the lid. Wear mitts when doing this! Make sure you place the lid on a clean surface, (but not a picnic table or anything else that can be damaged by heat! A log works well for this). Place your dough in the Dutch oven as listed above. Before placing your Dutch oven over the coals, rake them a bit smoother than pre heating. Bake as above. Check after 25 minutes.